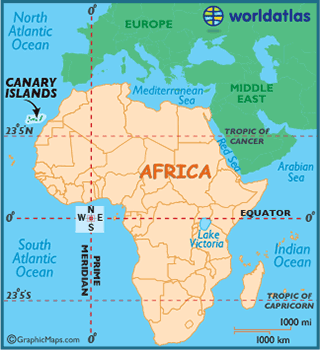 The Canary Islands, off the west coast of Africa, have been on my bucket list for a long time. Also on my Spain bucket list was the Alhambra in Granada and Barcelona. There are many cruises that do each of these but then I found two back to back segments on Windstar that let us do all three so we booked it. Our ship departed from Santa Cruz, Tenerife so we flew into Tenerife a few days early to recuperate from the long flights and the change in time zones. The first decision was where to stay. The ship departed from Santa Cruz de Tenerife so that was an option. Also La Laguna, a UNESCO down. Working with Patsy Little (patricialittle@Hotmail.com), we settled on La Laguna, with hotel and transfers (from the airport in the southern part of the island) arranged. La Laguna is a UNESCO site, an old town in the northern part of the island. We stayed at Hotel Laguna Nivaria in their historic building. We had a lovely huge room and thoroughly enjoyed our stay there. The location was perfect, right on the edge of the historic old city and across from a lovely park. Our first day was just for R & R and we spent it sleeping and eating and strolling around the old town. Weather was a bit cooler than we expected but still enjoyed our meal at an outdoor café. Especially finishing it off meal with hot chocolate and churros. 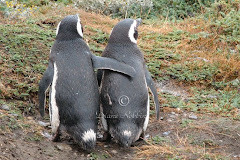 For our next day I had arranged a guided tour of the island. The tallest mountain in Spain is here, Mt Teide, and the area is a national park. Our guide, Patsy, is an ex pat American from Connecticut. She was a high school teacher of French and Spanish and during the spring semester of her first year of teaching she led a school trip to Tenerife. She went back to the states, quit teaching, moved to Tenerife, married a Canarian and has been guiding for over 35 yrs. Pick up was at 9;45, so we were out of the hotel at 9:30 and Patsy showed up shortly after. We got back to the hotel at 5:45 so it really was a full day tour. The national park is amazing. We have been to many volcanic areas and yet somehow, Jerry and I agreed, this one was different. Very beautiful. At 3,718 meters high, Mt Teide is really all that is left of the northern rim of the crater of the volcano that created Tenerife. The caldera, that we drove across, is 17 kilometers wide! Many beautiful and interesting formations and we were lucky with great weather. We had driven south along the spine of the island to read the park. We returned via the west and north roads with spectacular vistas including the one we had from the restaurant we stopped at around 2 for a leisurely and delicious lunch, Mirador de Garachico. Great having a local with us who helped us pick our lunch items such as recommending we try the grilled cheese appetizer which is literally a grilled 1/2 inch 4 x 4 block of fresh goat cheese. Delicious. Presentation of my main course was stunning. Excellent meal. We returned to the hotel exhausted but very satisfied with our beautiful day. Tomorrow, time to board our ship.